The eight Syrians detained at U.S.-Mexico border presented themselves to authorities. The U.S.-Mexico border crossing in Laredo, Texas. Eight Syrians were just caught on the southern border trying to get into the U.S. ISIS maybe? I told you so. WE NEED A BIG & BEAUTIFUL WALL! The GOP front-runner is referring to this Breitbart story posted on Wednesday, which notes that two separate “family units” of Syrians were “apprehended” at a border crossing in Laredo, Texas, earlier this week. The implication of the Breitbart story, and the Trump tweet, is that Syrians coming into the U.S. illegally might pose a security threat in general, but also specifically in this particular instance. The fear of terrorists entering the U.S. through its southern border is a persistent one, combining anxieties over illegal immigration and terrorism, though there’s not much evidence of it taking place. Several Syrians have been detained while traveling on false documents in Latin America and the Caribbean in recent days, though none of these cases have been tied to terrorism. 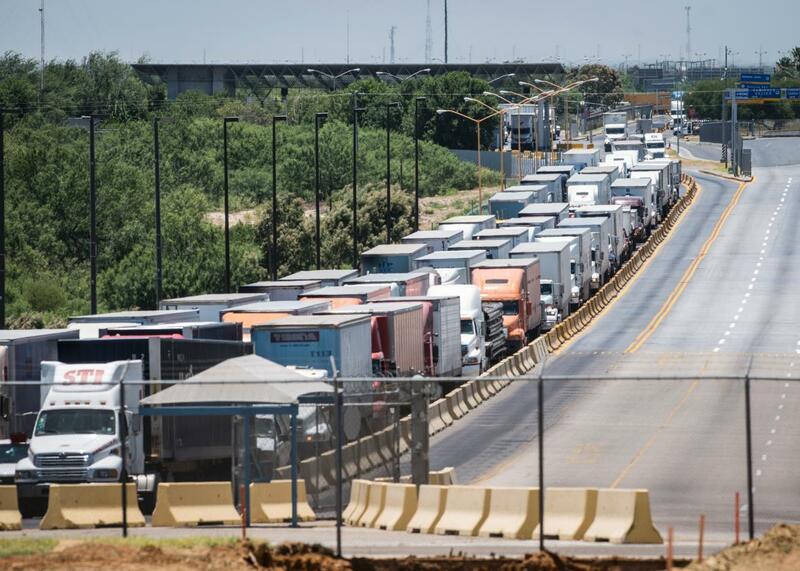 The problem with using this week’s incident in Laredo as evidence of a threat, or that the border is not secure, is that according to the Department of Homeland Security, as first reported by NBC News and Bloomberg’s Josh Rogin, the families weren’t hiding from authorities. They were not, in other words, trying to sneak around a border crossing undetected and no wall was necessary to stop them.